Without question the mid-term elections were in so many ways an important turning point in the history of the United States. For the Democratic Party it was a major sea change. Whether historians will consider the elections “blue wave” as a major tidal wave or not does not change the fact that this election cycle was one for firsts. One of the biggest “firsts” is the sheer number of women candidates who ran on the Democratic ticket and were elected. One female candidate, Alexandria Ocasio-Cortez, is the youngest elected Democratic candidate to the House of Representatives. This brings me to one other thing that has had an important effect in this election cycle—the Latino vote. 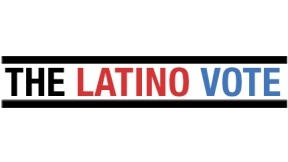 The number of Latinos who voted in this election cycle is unprecedented in America n history. More than that, the Latino vote had an important effect of actually turning formerly Republican states into Democratic states. States like Arizona and Nevada turned blue in many ways because Latinos have not only changed the population demographics of these places but their votes have as equally changed the political landscape. What surprises me is how the Republican Party really dropped the political ball in regards to the Latino vote. This has become the seminal moment where instead of courting the Latino vote, state and congressional Republicans had in effect demonized Latinos and any and all Latino immigrants as “invaders” or “criminals.” For too many Latino voters they felt that U.S. President Donald Trump and his Republican cohorts had cast them and everybody they knew and the very image of what Latinos are in the most negative light possible. Because of this, and the fear that Trump might enact more anti-immigrant, anti-Latino legislation (with the full support of a Republican Congress), Latinos by and large went over to the Democrat camp. If ever a playbook can be written about what should NOT be done, it is a very important lesson for the Republicans to learn not to ignore the Latino vote.